We talk about how mentoring is the key to a successful fundraising career, but we don’t actually teach how to do it. That changes today. In leading the 2017 AFP Leadership Academy session Building Your Board of Advisors: Effective Career Mentoring, Kenneth C. Frisch and Benjamin Mohler explore effective ways professionals can engage in mentoring as part of their personal fundraising toolkit and how chapters can engage members in a formal mentoring program. 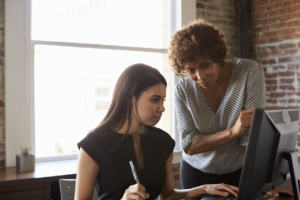 Mentoring is undervalued and underutilized as a method for professional development. Mentoring is seen as something for the mentees, not also for the mentors. If you’re the average of your five closes friends, shouldn’t our professional networks mirror this? For the sake and future of the profession, reinvestment is critical and should be intentionally used by leaders (both up and downstream). Gain insight on trends and professional innovation emerging from new professionals. Conduct thoughtful self-assessment to decide where can you grow.